Now many people will choose smartphones to watch videos in spare time. The portability and convenience make users widely accept. So what makes a phone capable of comfortably enjoying videos? Screen size, resolution, support formats and processor speeds determine the visual experience that you can feel. Here we find out the five excellent mobile phones for enjoying video anytime. Apple has unveiled their new models: iPhone 7 and iPhone 7 Plus. Apple iPhone 7 comes with a 4.7 inch HD retina display and new wide color gamut, which can make your videos more vivid, and engaging. The new stereo speaker system of iPhone 7 can bring better audio effect when playing videos and movies. And iPhone 7 runs on the newest and most efficient system iOS 10 in collaboration of the most powerful four-core A10 Fushion chip which allows you playing video more smoothly and fast. The only trouble is that iPhone 7 only supports M4V, MP4 and MOV formats like the former iPhone models, which is quite limited. But here I can recommend Video Converter Ultimate for you, which supports you to convert over 150 formats to the compatibility format with iPhone 7. The Samsung Galaxy S7 is considered the all-around Android smartphone on the market right now. It offers high resolution (Super AMOLED display; 2,560 x 1,440; 534 ppi), a larger screen (5.1 inches) and a significantly longer-lasting battery. With this smartphone, it is very easy to enjoy an immersive experience when watching your favorite videos or movies wherever you are. Compared with iPhone 6s plus, it can play videos in various formats to avoid the conversion issues. When it comes to videos – bigger is better. Google Nexus 6P is definitely for people have committed fully to the big-screen, because it has large 5.7-inch Quad HD Super AMOLED display. It will be nice to enjoy videos on this nice-to-hold phablet. But, not all video can play on Google Nexus 6P for Nexus 6P only support the h.264 and MP4 format. And the 128GB of memory is enough to store your videos for watching on tours or on the way home. In addition, you don't need to worry the battery stopping you from enjoying videos on your phone. With a 5.5-inch display, 64GB of storage and a massive amount of power under the hood the OnePlus 3 can handle all the videos and movies you can throw at it. The Oneplus 3 not only comes with large screens, but they also come with advanced technologies and high pixel density offering a visual treat to the users. Besides, this phone supports a large variety of video formats so you would have no trouble watching movies regardless of their file type. Sony Xperia Z5 Premium is great for watching videos because it has a very nice, bright and vivid, 5.5-inch IPS LCD capacitive touchscreen. And it is a 4K Ultra HD display, which makes the mobile phone pack in four times the resolution of Full HD for an unrivalled viewing experience. The biggest difference with other phone is that Sony Xperia Z5 Premium support playing 4K video, it will make your video experience more wonderful. 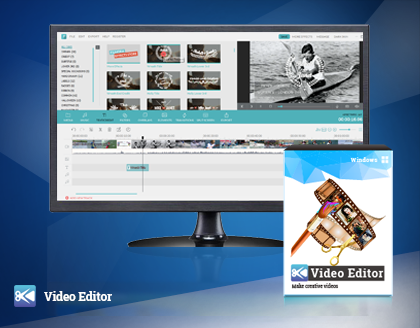 You can use Video Converter Ultimate to convert your video to 4K for having a try. Plus – It enables you wirelessly transfer video from your iPhone to your 4K TV by using DLNA or an MHL*** 3.0 connector. If you are considering to buy a new smartphone for better video enjoying experience, you can take those 5 mobile phones as a reference. When you want to play the incompatible videos or DVDs on your smartphone, try to use Video Converter Ultimate to convert them to the format you need first. Also if you have other recommendations about the smartphone, please leave your comments below to let us know. We will highly appreciate for your help.